YOU CHOOSE... SHOT GLASS or BEER GLASS and grab 3 FRIENDS. IF YOU HAVE MORE THAN 3 PEOPLE JUST ATTACH OUR SIMPLE CONNECTOR, ADD ANOTHER SHOTSTICK® AND YOUR PARTY KEEPS GROWING. A SHOTSTICK® is the pinnacle of competition so if you can't keep up you're gonna get wet. 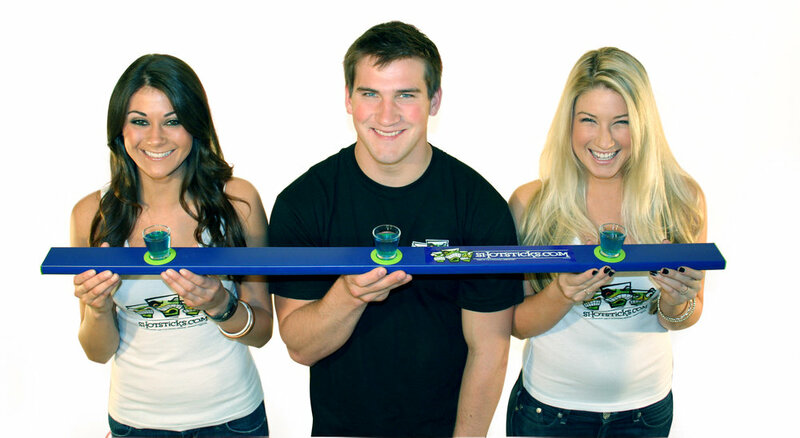 SHOTSTICKS® come with BOTH beer and shot glasses! The glasses are quick twist on and off the SHOTSTICK... simple and fast!